There are two ways to view plunging into influencer marketing: necessity, or opportunity. According to Forbes, 47% of online consumers use ad blockers, giving brands and businesses reason to put their dollars behind influencers. With influencers across an array of platforms like Facebook, Instagram, Snapchat, YouTube, Twitter, on blogs and so on, most organizations are guaranteed to find worthy partnerships. 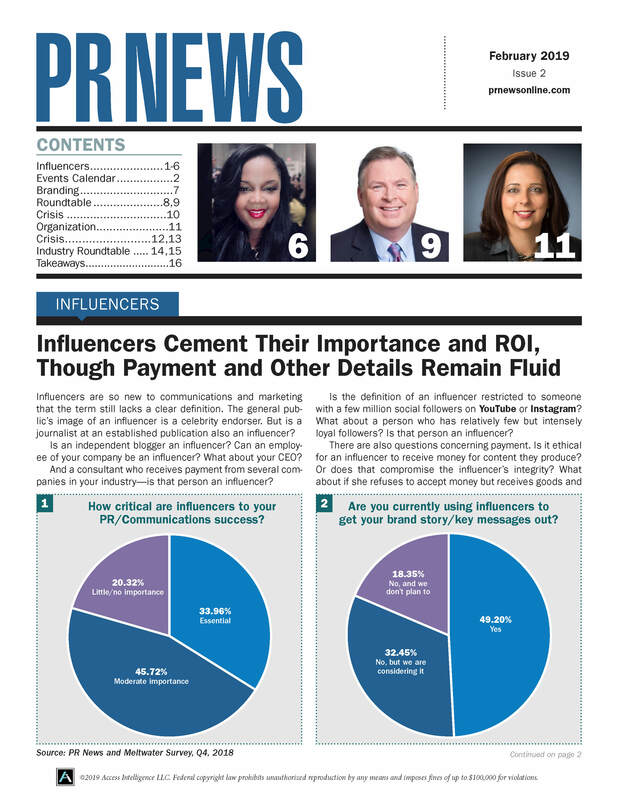 In this first edition of PR News' Influencer Marketing Guidebook, readers will get guidance on how to enter and succeed in the world of influencer marketing. The eight-chapter guidebook covers everything from how to find and vet influencers, to influencer tactics, case study examples and legal considerations. Guidebook contributor, Kara Hendrick, of Velcro Companies points out that influencers are "the ones with skills, audiences and creative craft that we as a brand don't have." Tapping into those resources unleashes a wealth of possibilities. You'll learn how professionals at Cisco, Adobe, SAP, Ketchum and more are using this new strategy to their advantage and how you can do it for your organization.